The American Numismatic Society (ANS) is pleased to announce that on Thursday, January 7, 2016, it will honor longtime benefactors Regina and John W. Adams with the Trustees’ Award at the Annual Gala at the Waldorf Astoria Hotel in New York City. During the event, the Society will also present the Distinguished Service Award to Kenneth E. Bressett, and honor Dr. Ursula Kampmann with the 2015 Burnett Anderson Memorial Award for Excellence in Numismatic Writing, presented by the ANS and the American Numismatic Association (ANA) with cooperation from the Numismatic Literary Guild. View Sponsorship, Ticket and Program information. John W. Adams, ANS Honorary Trustee, Fellow, and Augustus B. Sage Society member, joined the Society more than 40 years ago. He served on the ANS Board of Trustees from 2000-2008, was a member of the Huntington Medal Award Committee and the Finance Committee, and was the Chairman of the Library Committee. In 2014 Mr. Adams received the Archer M. Huntington Award for his outstanding career contributions to numismatic scholarship. Both he and his wife, Regina, have shown exemplary devotion and commitment to the ANS, and the Society is delighted to acknowledge their remarkable generosity. Past recipients of the Trustees’ Award include such notable numismatists and donors as Ms. Shelby White and Mr. Leon Levy, Mr. Jamie Stewart, Mr. Kenneth L. Edlow, Mr. George Kolbe, Mr. Q. David Bowers, Mr. Chester L. Krause, Mr. Donald G. Partrick, Mr. Harvey Stack, Mr. Victor England, Jr., Mr. Ira Goldberg, Mr. Larry Goldberg, Mr. Harlan J. Berk, Mr. Roger S. Siboni, Mrs. Marian Scheuer Sofaer and the Honorable Abraham D. Sofaer, and Mrs. Elizabeth Forbes Hazard Scott and Mr. Stanley DeForest Scott. The ANS Distinguished Service Award, given in recognition of outstanding contributions by an ANS volunteer or staff member, will be presented to Life member and Fellow Kenneth E. Bressett, who joined the ANS in 1954 and served on the ANS Far Eastern Standing Committee from 1976 to 1979. He is only the third recipient of this Award, preceded by the late Life Fellow Richard Witschonke and Life Fellow Frederic G. Withington. 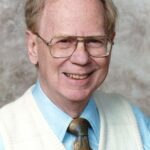 Mr. Bressett is well-known and respected in the numismatic community, having worked as author, publisher, editor, and teacher. 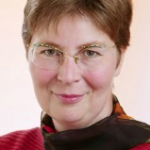 Dr. Ursula Kampmann, founder, Editor-at-large and CEO of MünzenWoche (CoinsWeekly), is the 2015 recipient of the Burnett Anderson Memorial Award for Excellence in Numismatic Writing. She is the first European to be given this award, which is sponsored by F&W Publications and presented annually to an author, journalist, or researcher in recognition of their career contributions to the field. Dr. Kampmann joined the ANS in 1995 and currently serves as a Fellow. John Adams is a prolific numismatic researcher, writer, and editor whose primary focus is American and European medals, numismatic literature, and large cents. His early research used a largely bibliographical approach, which enabled him to publish two important works: Monographs on Varieties of United States Large Cents, 1793–1794, and the two-volume United States Numismatic Literature. During the past 15 years his approach has been mainly historical and allowed him to publish the notable The Indian Peace Medals of George III, or, His Majesty’s Sometime Allies; The Medals Concerning John Law and the Mississippi System; Comitia Americana and Related Medals: Underappreciated Monuments to Our Heritage (2007) with Anne Bentley, and Medallic Portraits of Admiral Vernon: Medals Sometimes Lie with Fernando Chao and in collaboration with Anne Bentley. Mr. Adams has also been the editor of the popular The MCA Advisory. Earning a B.A. from Princeton (1957) and a M.B.A. from Harvard (1959), Mr. Adams founded Adams, Harkness & Hill in 1966, an investment bank in Boston, and worked there as Director of Research, Chairman, and CEO for 40 years. He has served as a Trustee of the Massachusetts Historical Society, where he was instrumental in conserving its coin cabinet, and as President of the Numismatic Bibliomania Society and the Medal Collectors of America. He is also a Fellow of the American Antiquarian Society. Ken Bressett is most recognized as the longtime editor of A Guide Book of United States Coins (“The Red Book”), and past president of the American Numismatic Association, where he also served as their Director of Coin Authentication and Educational Programs. 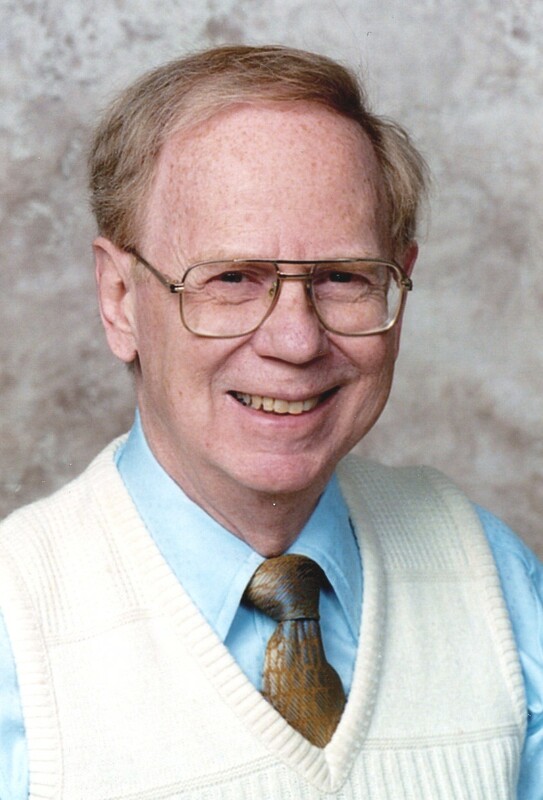 He has promoted numismatics, both as a study and a hobby, for over 50 years, and has published a plethora of works on a variety of topics including ancient coins, paper money, and English and United States coins. In 1966 Mr. Bressett was appointed to the U.S. Assay Commission by President Lyndon Johnson; in 1996, he became a member of the Citizens Commemorative Coin Advisory Committee. Among his many accolades and awards, he was elected to the ANA’s National Numismatic Hall of Fame and earned the Association’s Medal of Merit and won the Ferran Zerbe award. Mr. Bressett worked as writer on or editor of the following books: Money of the Bible; A Guide Book of English Coins; Basics of Coin Grading for U.S. Coin; Buying and Selling United States Coins; Let’s Collect Coins; The Fantastic 1804 Dollar; A Guide Book of United States Coins; Guide Book of United States Currency; The Handbook of United States Coins; Collecting U.S. Coins; Collectible American Coins; Milestone Coins; United States Coin Price Trends; and, the Official ANA Grading Standards for United States Coins. Ursula Kampmann, in addition to her current roles at MünzenWoche, is also the Chief Editor of Mint News Quarterly and has been publishing some regular series of podcasts at iTunes U, among them the very successful series entitled, “Exploring the World of Money.” She studied pre-, ancient, and medieval history, and numismatics at the Ludwigs-Maximilians University in Munich and the Universität des Saarlandes in Saarbrücken. She furthered her studies with both Near Eastern and Classical Archaeology, writing her Ph.D. thesis on the Alliance Coins of Pergamon. Subsequently she worked as a numismatist at the Giessener Münzhandlung in Munich and at the Münzen und Medaillen AG in Basel, Switzerland. She served as the CEO of Hess Divo, AG in Zurich; was the Secretary of the Anti-Forgery Committee of the IAPN; and was the Chief Editor and Author of the German numismatic journal MünzenRevue. 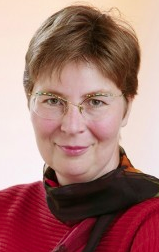 Dr. Kampmann was awarded the Vrenelipreis, an award for numismatic achievement, in 2002 at the World Money Fair in Basel, Switzerland from MünzenRevue; she received the Ehrenpreis, an honorary award, in 2003 from the Society for International Monetary History; and in 2012, the Otto Paul Wenger Award from the Association of Swiss Professional Numismatists. Over the past two decades, more than 2,000 of her articles and numerous monographs have been published and translated into a variety of languages. Every year the American Numismatic Society raises critical revenue through Gala ticket sales, program advertisements, sponsorships, contributions, and the proceeds from a live auction. These funds are used to further the Society’s mission of supporting research and education in numismatics. Information is available about purchasing on-line tickets, sponsorship and program advertisement, also you may also contact Catherine DiTuri at 212-571-4470, ext. 117, membership@numismatics.org, or view the printable Sponsorship and Ticket form.